Mango is considered to be the king of fruits and the onset of this season is that time of the year where countless Mango lovers rush to get their hands on anything and everything that has the deliciousness of this fruit. Khandani Rajdhani is celebrating the season of Mangoes by letting you relish in an array of lip smacking delicacies which are all derived from Aam. I was invited to their Indiranagar outlet to experience and understand what this King of Thali has to offer. 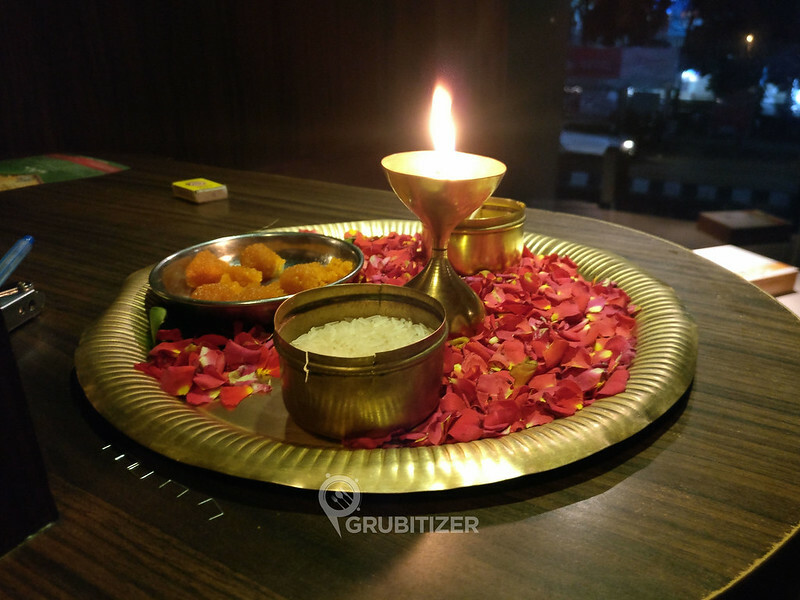 The brand is known for its exceptional hospitality, Tikka is applied just when you enter which makes the experience very traditional right from the word go. Maharaj Jodharam, Corporate Maharaj graced the gathering with his presence and he happily agreed to pose for a lot of pictures. 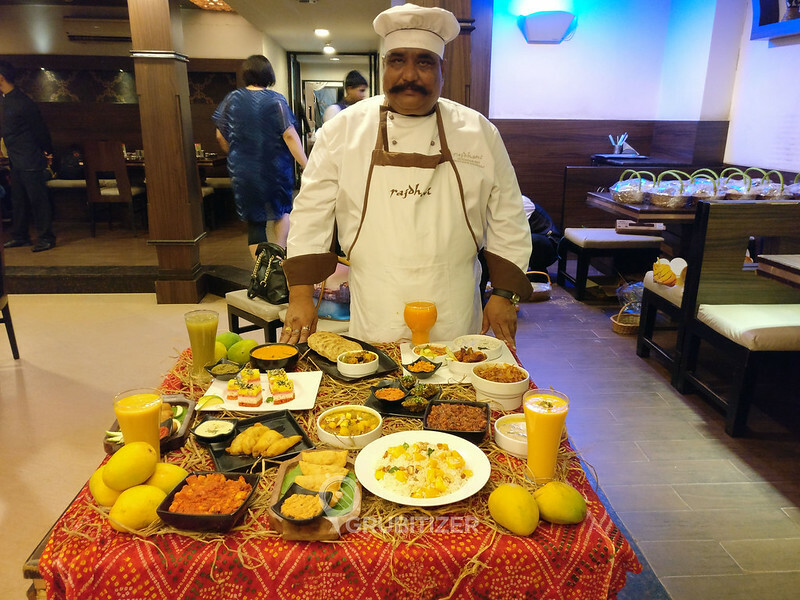 The food festival follows the concept of rotating menu on daily basis and you can expect different dishes and beverages on offer which ensures the excitement among Mango lovers does not go down. There were three options for welcome drink and I decided to go for Aam Thandai, so refreshing that I gulped it down in a fraction of second and was ready for another one! But, I decided to hold on and sat down with other blogger friends to enjoy the course of our dinner. Kairi stuffed Bread Roll and Mango Dry-fruit Ghugra came in first, the bread roll was perfectly fried as it had a nice crisp and brown texture with mild hints of Kacha Mango flavor which was not overpowering the entire preparation. Shahi Aam Dhokla could have been better as the dhokla was not moist enough as it is supposed to be, but it is still worth trying. 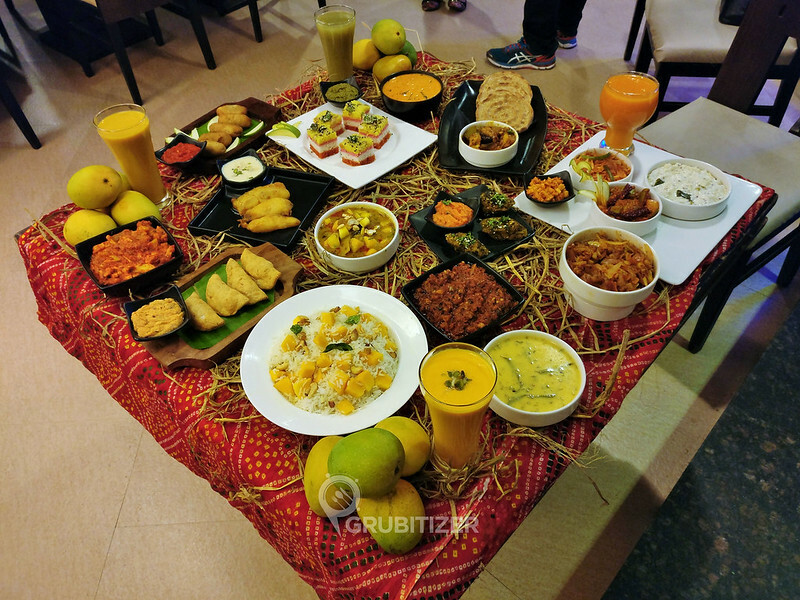 We were then served with an array of chutneys, Dal and various sabzi, all of which had different varieties of Mangoes as an ingredient. I personally liked Aam ki launji with Khoba Roti and Puri with Arbi Mango Rasawala. Mango Pulao seemed a bit dry again, so make sure you gulp down tiny chunks of ripe Mango that come with it. Dessert was Amarkhand and Mango Jalebi served with Rabdi, both heavy on the stomach, a perfect end to our dinner I would say!! Do check out the entire spread by visiting any of the outlet of Khandani Rajdhani to indulge in this brilliantly curated Aamlicious menu. Previous Post: Matsuri – The Chancery Hotel: A Japanese Affair! Yess… A feast for vegetarians !! Yes Jyo! 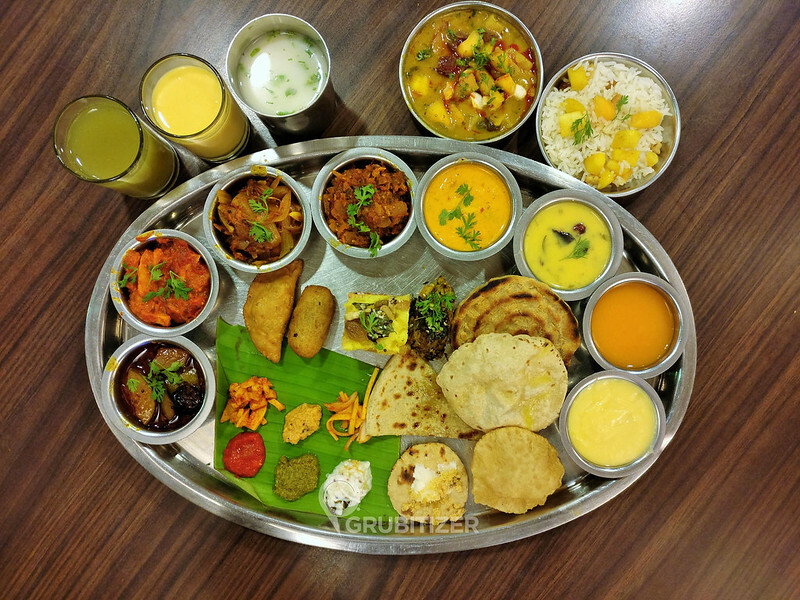 Do check them out in Bangalore 🙂 the Thali is priced at INR 450 (including taxes). Yaa… had been there a few times ! !